Automatically deducts the amount of time spent at lunch. Includes space for two daily work periods (e.g. morning and afternoon). You enter the time of day that the employee starts and leaves work (eg 8:00 AM - 12:00 PM). The number of hours worked each day is calculated. 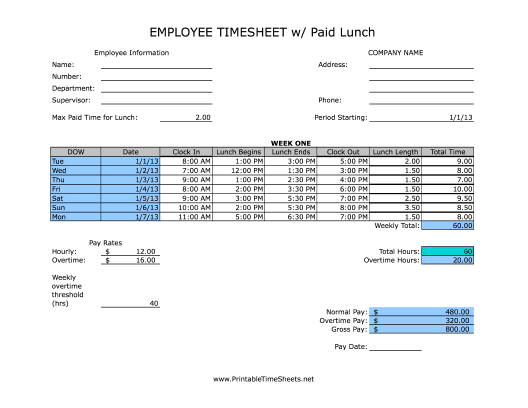 The timesheet calculates overtime pay automatically.